Patients and caregivers can have an impact on research but they need a platform to do so. Unfortunately, few patients and caregivers are given that platform and issues around outreach and practical barriers prevent many from having a voice in research. The Research Loop can help overcome these barriers for patients and caregivers and help researchers include their feedback in future research. One of the initial barriers to patient and caregiver involvement is helping researchers know who to ask to be involved. Some researchers turn to known patient or caregiver advocacy groups, others look to replicate colleagues’ practices, and still others may invite patients and caregivers they know and have worked with before. While these are useful means to find patients and caregivers to participate in research, they are limited and may result in asking a small set or even the same set of individuals to take part. Since certain patients and caregivers might be known to an organization or the researcher, they are easily reachable and may be deemed dependable. However, including these individuals again and again risks excluding new voices with new perspectives and a wealth of knowledge that could impact projects. These individuals become “professional patients” and some even develop their own agendas.9 While patients and caregivers who are often involved can be wonderful resources, researchers must realize that no one patient, caregiver, or organization speaks for all patients. Thus, asking as many different patients and caregivers is essential to truly understanding the patient and caregiver experience. Similarly, some researchers may think that stakeholders, such as patient and caregiver organizations, can adequately represent patients and caregivers. Though some of these stakeholders may have patients or caregivers actively involved in their organizations, they do not necessarily represent patients or caregivers.10 Rather, they may only represent the organization and the organization’s agenda. Again, it is crucial that researchers recognize which voices they are asking to the table and try to make an effort to include patients and caregivers who speak for their experience and not just an organization. 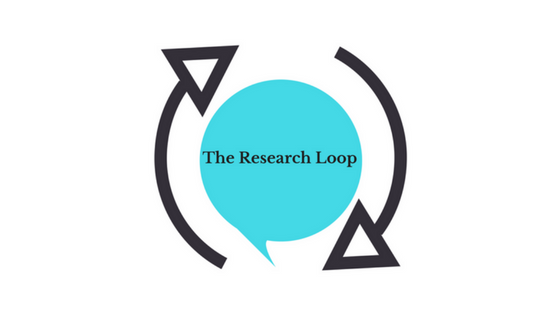 The Research Loop will endeavor to bring together a diverse set of patient and caregiver voices and their varied experiences and views. The platform will hope to overcome traditional challenges of “representation of patient participants of different regional, cultural, and social backgrounds”13 and focus on diversity and inclusivity. As a result, the feedback patients and caregivers offer will enrich researchers’ understanding of the topics they are studying as well as the scope and implications of their work. Finding new patients and caregivers to become involved in research generally takes a dedicated outreach effort. Frequently though, the scope of outreach undertaken by researchers is limited. In a systematic review of patient engagement efforts, Domecq et al. found, “In general, most of the studies described convenience sampling as the method to identify patients (or representatives/surrogates) for engagement in research. Therefore, patients attending clinics or other patient care facilities were approached and asked to participate. Patients also volunteered in response to advertisements or Internet postings.”9 These methods end up being limited to those who happen to see the advertisements or attend the clinics where the outreach is conducted and who meet the requirements to participate – thus circumscribing the number of patients and caregivers who might become involved. Because many researchers already have the high burden of developing their research and recruiting study participants, the additional effort required to recruit patients and caregivers to be involved in the research process may be too great. Additionally, they may not have the resources or funds to conduct thorough outreach campaigns. As a result, outreach to new patients and caregivers may be short-changed and new voices are left unaware of projects they may be able to contribute to. The Research Loop will have its own outreach efforts online and in patient and caregiver communities to let patients and caregivers know that there is a platform for them to have a voice. This will widen the number of people who are asked to be involved because they will not need to be near a certain clinic or institution to learn about The Research Loop. And because patients and caregivers will themselves come to The Research Loop, and their feedback will be provided to researchers, the onus on researchers to find new voices is greatly diminished, allowing them to focus on their work and the actual feedback provided. Current patient and caregiver engagement efforts face practical barriers that also often exclude their voice from the research process. For instance, most of these efforts require that patients and caregivers be available in person to contribute – usually on a focus group, panel, or board with regular meetings.9 This requirement restricts the set of patients and caregivers who can be involved to a geographic location.14 Additionally, it means that patients and caregivers who are too unwell or have health issues that preclude them from traveling, those who have family or work commitments, those with transportation obstacles or other issues are unable to attend and thus are left without a voice. For individuals who are able to come to in-person meetings, facilitating patient and caregiver involvement comes with other unique barriers. The biggest of these barriers to consider is time. Patients’ and caregivers’ time is already limited. With work, families, and attending to their healthcare needs, the time commitment required to participate may prove too much.14 Researchers then need to consider holding meetings outside business hours or on weekends, the length of each meeting, and how often they will be held.12,15-19 Again, this can add a burden to an already stressed researcher and anxiety to patients and caregivers who want to offer their feedback. Unfortunately, it can also mean a frustrating level of attrition as patients and caregivers may not be able to sustain involvement. Organizations like PCORI, INVOLVE, and SPOR and others are working to expand their efforts to include more patients and caregivers in research but their operations still highlight the issues above and why they are limited. The ability to participate with these organizations leaves many out. First, most require patients and caregivers to fill out lengthy applications to be involved, a substantial hurdle for many, and only a few are ultimately chosen to serve. These individuals then have to face the barriers of travel, time, and accommodation that cannot be overcome by many. For instance, in the past PCORI asked patients and caregivers to devote a substantial amount of time to reviewing grant applications in a short amount of time, travel across the country, sit through an excruciatingly long day of reviews with professional reviewers who have done this many times before, and pay for it in advance only to be reimbursed afterward. Patients and caregivers who could not afford a flight or food costs upfront were thus left out. Patients and caregivers who had travel limitations were left out. Patients and caregivers who did not have the time or energy for various reasons could not commit to the level of work asked of them. Once there, patients and caregivers needed accommodations that were often not planned for and were asked to speak in a situation where many were uncomfortable. In-person meetings are one way to involve patients and caregivers but they still leave many patients and caregivers excluded. Those who need transportation, those who cannot make the time commitment, those for whom accommodations cannot be made, and those who may not feel comfortable in group settings are often left out. The Research Loop can address these issues. As an online platform, patients and caregivers will be able to access the site anywhere in the world at any time. Patients and caregivers are not asked to make any time commitment and can access the site when it is convenient for them. Thus it enables patients and caregivers who cannot attend in-person meetings to still have a voice in the research process. Issues of accessibility and accommodation will necessarily need to be addressed on the site as it grows – especially for the visually impaired or those who have limited internet access (so as not to contribute to the ever widening digital divide). The Research Loop will look to address those issues but hopes to invite many more patients and caregivers to become involved in research than have ever been included before.